With today’s modern technology—LEDs, servomotors, motion sensors, speakers, and more—artwork can incorporate elements of light, sound, and motion for dramatic effects. 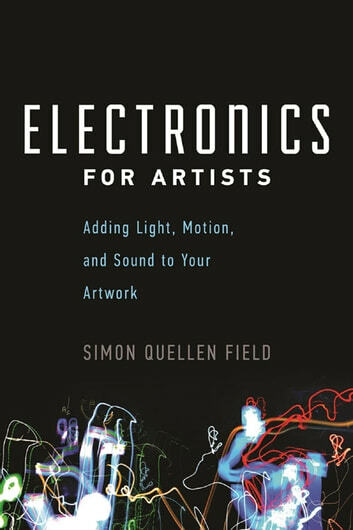 Author and educator Simon Quellen Field has developed a primer for creative individuals looking for new ways to express themselves though electronically enhanced art. Following step-by-step examples of basic circuitry and programming, readers can develop the skills necessary to enhance their works of art. 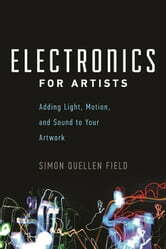 The book also features art projects to try, including a bouquet of glowing flowers, an LED metronome, a talking computer, a sensile robot, and a simple wheeled robot. A variety of artistic works created by Field’s students and based on these open-ended lessons are also included to provide creative sparks for the readers. For those interested in programming their circuits, Field explores the basics of Energia, a free software package, and provides simple programs to create flashing light patterns, computer controlled motors, and LCD text displays.